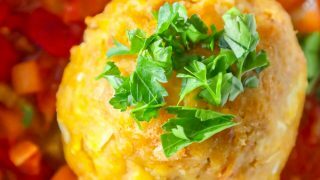 The Best Easy Mofongo recipe – delicious lightly fried plantains mashed with garlic, pork rinds, bacon, and made into dumplings for a deliciously easy Puerto Rican dish everyone loves! This post was sponsored by Princess Cruises. All opinions are 100% my own. 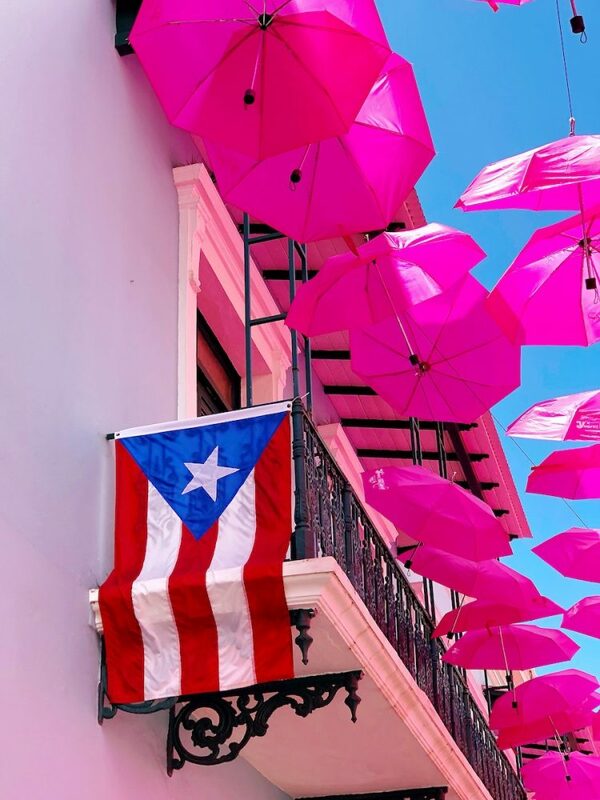 I was recently invited to tour the Caribbean with Princess Cruises on board the Caribbean Princess and try out the new Ocean Medallion program on ship – this revolutionary charm makes it easier than ever to explore the world and take in new cuisine – like I did, feasting on Puerto Rico’s legendary plantain and pork rind dish – Mofongo! If you’ve never had mofongo, you might think it sounds a bit interesting – but you won’t believe the rich, buttery flavor in these little dumplings made from mashed plantains and pork rinds. 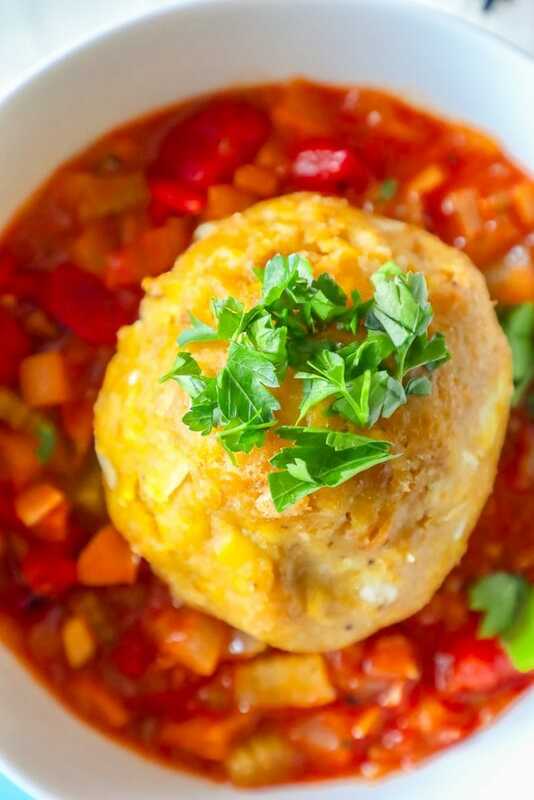 Mofongo is a blend of Caribbean ingredients with African and French cooking techniques – often served with complex sauces you’d expect in a fine Creole restaurant, but with a texture very similar to West African fufu dumplings. Fufu is sometimes made with plantains (though often with yams), and mofongo’s name even sounds a bit like fufu – making it easy to trace back the heritage of mofongo in the Caribbean. Just Take Me To The Best Easy Mofongo Recipe Already! 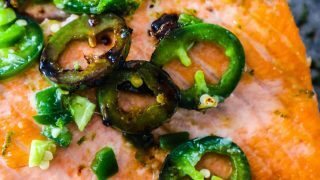 I get a lot of comments and questions on my recipe posts, so I try to provide as much information as possible for my readers. 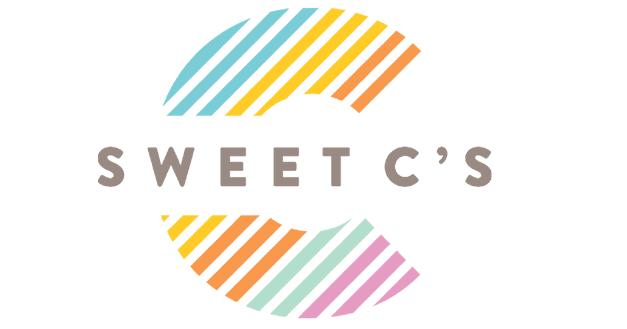 If you’d like to get straight to the recipe, please scroll to the bottom of the page. There is no better way to explore Puerto Rico for the first time – and seek out plenty of the island’s famous mofongo – than from a cruise ship! 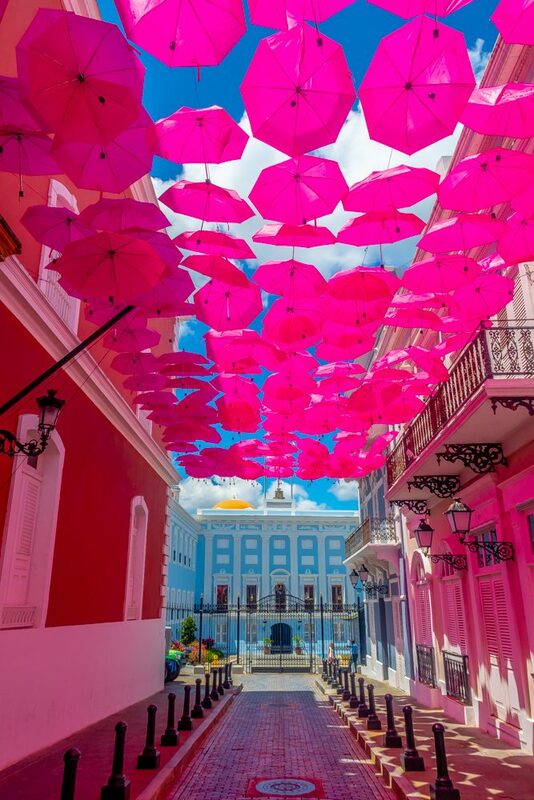 Cruise ships dock right in a buzzing area of San Juan – making restaurants, art galleries, shops, historic buildings, Fortaleza Street’s colorful umbrellas, and plenty of gorgeous candy colored buildings just steps away. Just stepping off the ship, you’ll see tons of gorgeous buildings and streets packed with vibrant colors. Cruise ships dock in a part of San Juan that is pretty small – and very walkable. Mofongo is Puerto Rico’s most famous dish – so it’s not a surprise it is incredibly easy to find lots of delicious mofongo dishes throughout the city of San Juan. While touring through San Juan with friends, we were walking back from the gorgeous Fortaleza street looking for a great spot to stop for lunch, and stumbled upon a sign for the place the Pina Colada was first made – and decided to duck in to Barrachina for some drinks and mofongo! 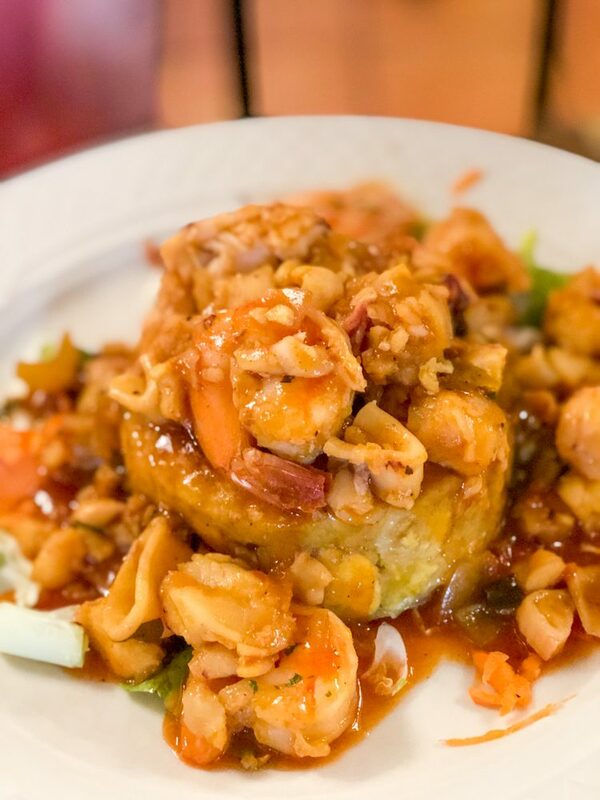 We ordered the Seafood and Beef Mofongo to try both – and loved them so much, we basically licked the plate clean! My friend Tanya from Lemons for Lulu and I both loved the seafood mofongo – and her husband Jason loved the beef the most. The portions were generous, and after a long morning of walking through the city hoping for a perfect shot, we were starving! The San Juan Puerto Rico cruise port, where our ship, the Caribbean Princess docked, is right in the middle of town. 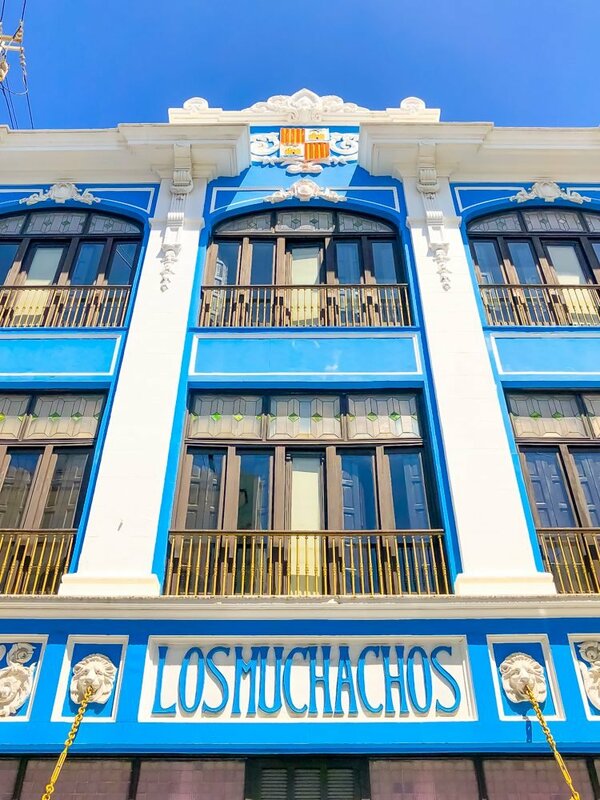 It’s a short walk to the Spanish fort, to the colorful umbrella covered Forteleaza street, and tons of gorgeous cafes and shops. 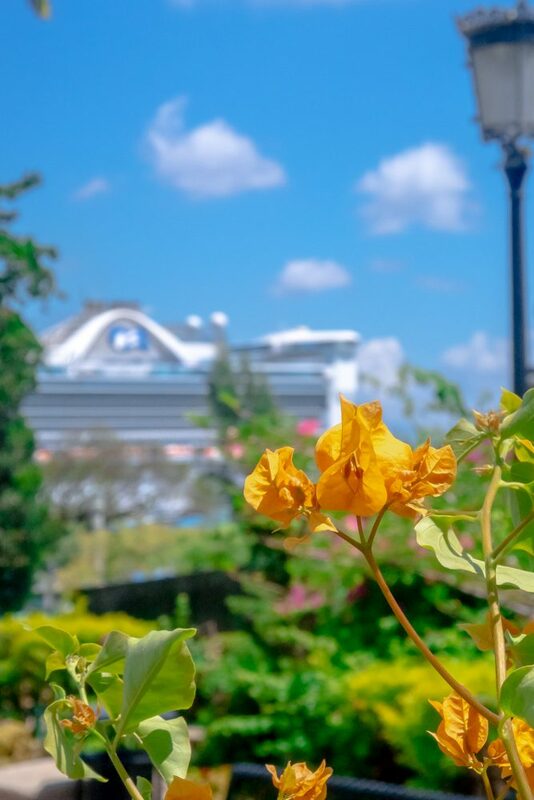 You will most likely be able to see the ship from most parts of town – it is a very walkable city, with tons to do just a short stroll away from the pier. 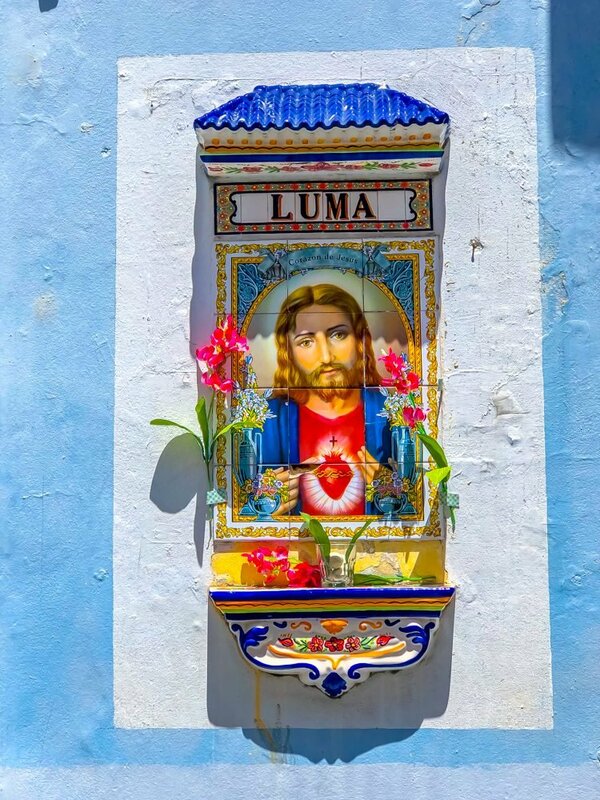 Be sure to bring a camera and a favorite outfit – San Juan is the perfect place to snap tons of photos! 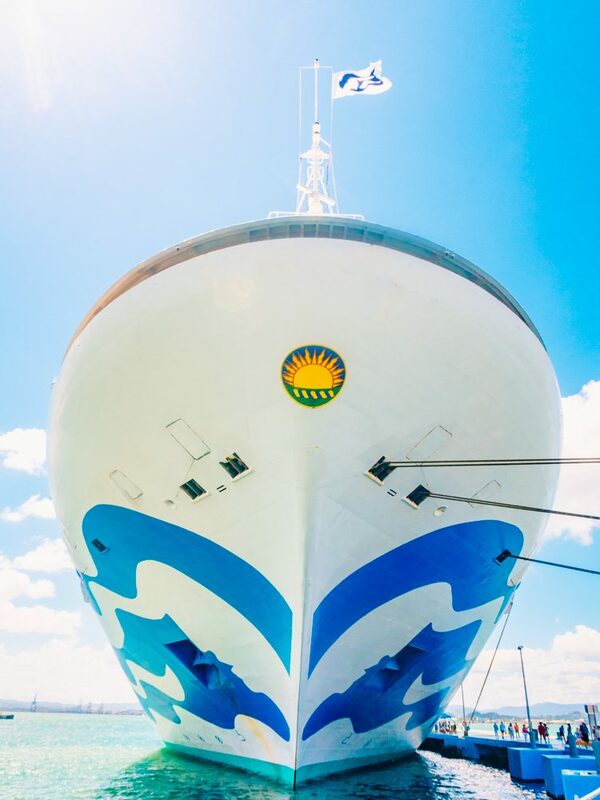 And getting back on ship can’t be easier – since Princess Cruises uses the new Ocean Medallion, all we had to do to get back on board was scan our medallions (which make a great accessory, no?) as we headed back to the ship. Ocean Medallion made checking in the first day of the cruise a breeze – and was our ticket to internet that was blazing fast at sea (my upload/download times significantly beat our satellite internet at home). As we planned our trek through San Juan the night before we docked in port, it was so helpful to have great internet so we could plan our journey ahead of time! Those medallions come in handy on ship too – it works as your cruise card and key – just scan to buy items or drinks, and connect with the Ocean Now app to even be able to use your medallion to order food and drinks from anywhere on ship if you don’t get your fill of mofongo while in port in San Juan! 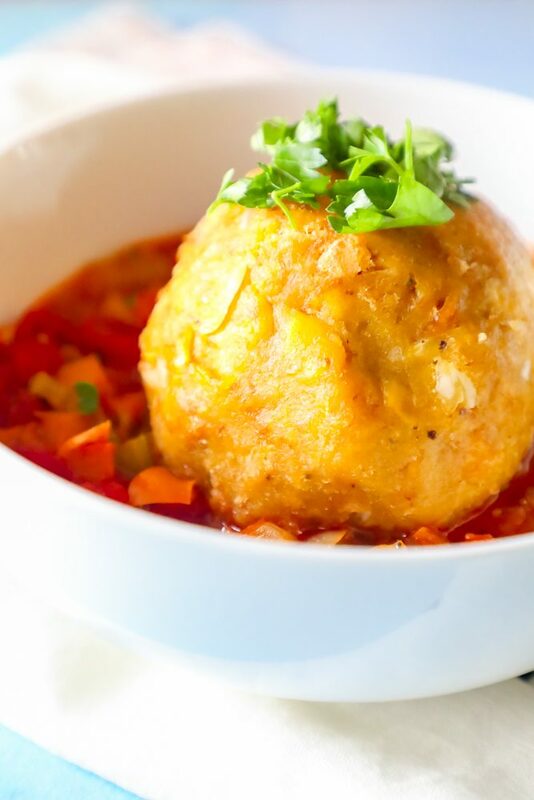 Mofongo is great on it’s own – but really should be served with a soup, stew, or hearty sauce alongside to really add to the flavor. 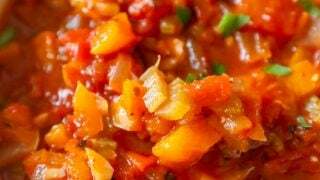 I personally love to serve Mofongo with Creole Sauce – and this Creole Sauce recipe is one of the easiest and most delicious I’ve found! Super simple and easy to make in just one pot. 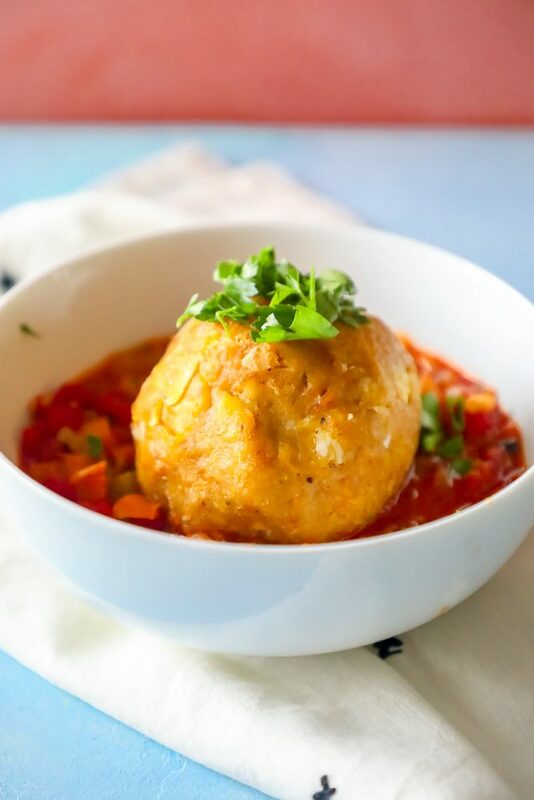 For a hearty Mofongo dinner that is perfect for a crowd, try adding one of my favorite meats, seafood, or vegetable recipes below – just add in with the sauce and mofongo balls and enjoy! Meats and Vegetables that pair perfectly with Mofongo and sauce. 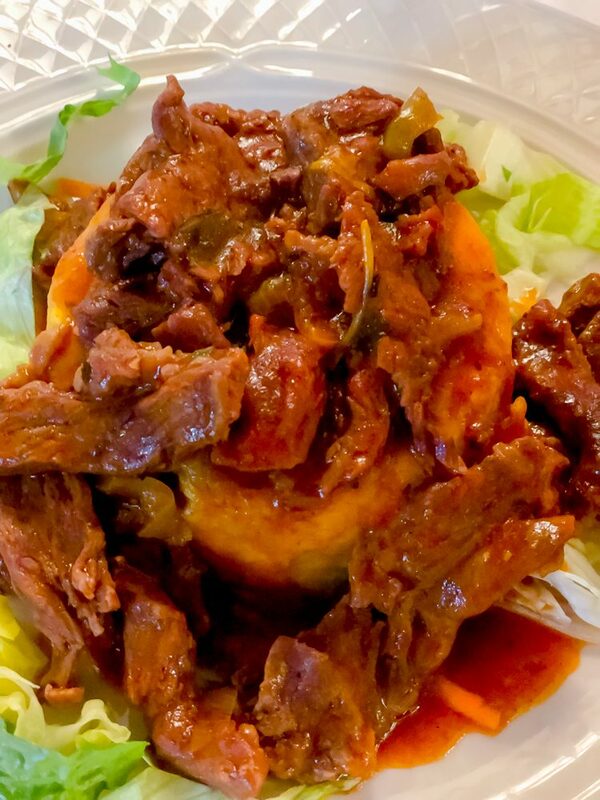 If you love this easy mofongo recipe as much as I do, please help me give it a five star review (just click the stars!) and help me share on facebook and pinterest! Peel the plantains, cut them into 1 1/2-inch slices, soak them in salty water for 15 minutes as oil comes to temperature. Remove plantains from water, and dry them with a paper towel before putting them in the hot pot with oil. Make sure any drops of water have been completely dried off. In small batches, fry plantains for about 12 minutes at medium-low heat or until they turn very light brown. Make sure to turn plantains as they cook. Do not brown plaintains much - you want them to stay soft and easy to mash, but the color should be a lovely dark yellow and light brown, so they are soft to the touch. Check doneness with a fork. Remove plantains from oil, and place in to a large bowl or mortar. Smash plantains with a pestle or the back of a spoon. Add some mashed garlic and pieces of pork rinds along with crumbled bacon, smashing into the plaintains. Once you have mashed all the plantains, mold them into the shape of a circle or half circle using your hands. 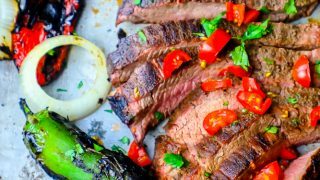 Serve hot with chicken broth, creole sauce, stew, or your favorite meat or vegetables. I can’t believe I can now make mofongo at home! After getting my first taste in PR, I am now dreaming of it daily. This sounds so interesting and delicious with the chiccharones in it as well! This just sounds so so good. I have to try it. Love trying something different! This was so yummy. 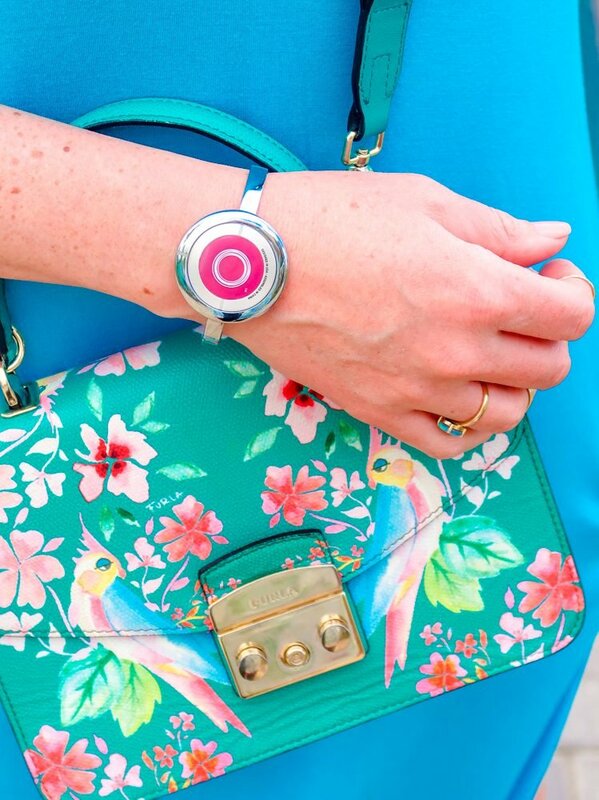 The Ocean Medallion is a fabulous idea!! 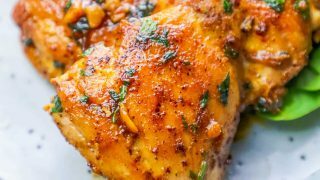 and this recipe looks crazy delicious!! This is seriously so good! I would LOVE to try this!!! It looks and sounds faaantastic!